A couple of weeks ago the Shrine did a post on the Aquaman figure from the Dawn of Justice line, and now thanks to newest F.O.A.M. member Joel Kurowski here are some photos of the variant edition. 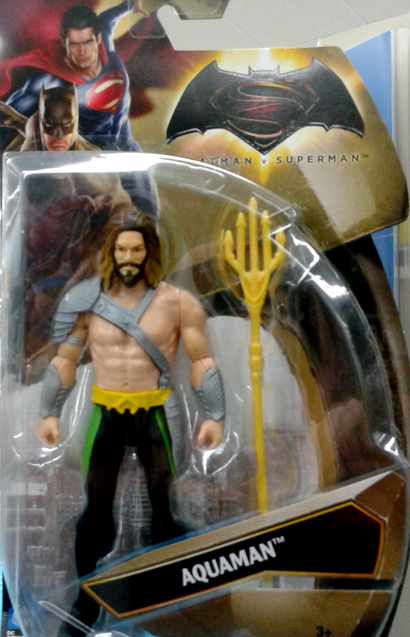 As you can see, this time around Aquaman's armor is painted grey, as opposed to gold. His tats are removed, and his pants are two-toned, making it a spitting image of Peter David era-version of the character! 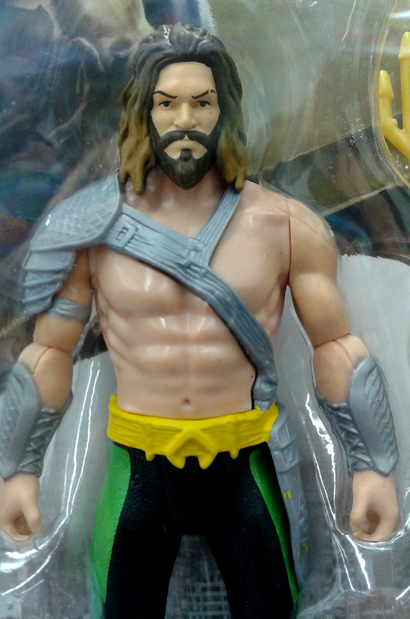 Not too long ago, a suggestion that there ever might be an "Aquaman Through The Ages" line of action figures would have been completely ridiculous. Now while it's still a long shot, given that there is an entire Aquaman movie just two years away...who knows? Papa needs a Jim Aparo-style Aquaman figure! Thanks Joel, and welcome to F.O.A.M.! Nice I got the original one as soon as I saw it. I have one of the gold shoulder armor ones that was slightly mis-packaged as "Shield Clash Superman" So.. that was fun.